For those who don't know what huaraches are, they are simply one of the most basic forms of footwear. The huaraches consist only of a material that protects the bottom of the foot and a lace to secure them. They have been used specifically by the Tarahumara Indians and have been popularized by Chris McDougall's book Born to Run. Steven Sashen of Invisible Shoes decided to modernize the huaraches by using a high quality Vibram (yes that Vibram) Cherry sole material which is 4mm thick and has a smooth side for your foot to ride on and a tread side to provide traction. Here's the catch, there are only two ways to get these shoes: a DIY kit or have Steven custom make you a pair. I am a complete and total cheapskate and quite handy so I opted for the DIY kit and will now chronicle the creation of my huaraches from start to finish as part 1 of the review. 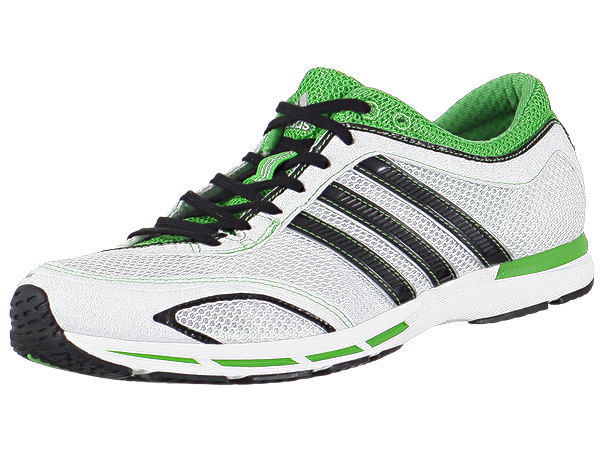 I have been running on my midfoot/forefoot for a few months now using my old Adizero Ace shoes. These shoes were already very light and flat compared to my old traditional running shoes. I needed some new ones though so I looked for an even flatter and minimal shoe so I decided to get the Adidas Adizero Rocket. The first Adizero Rocket model was released in July 2009 and the one I got were released on January 2011. 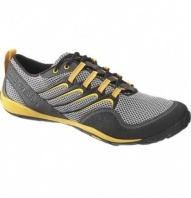 It comes with forefoot adiPRENE+ which is supposed to provide extra support for the forefoot. It seems to make the sole around the forefoot pretty stiff so I'm not sure if that's a good thing. 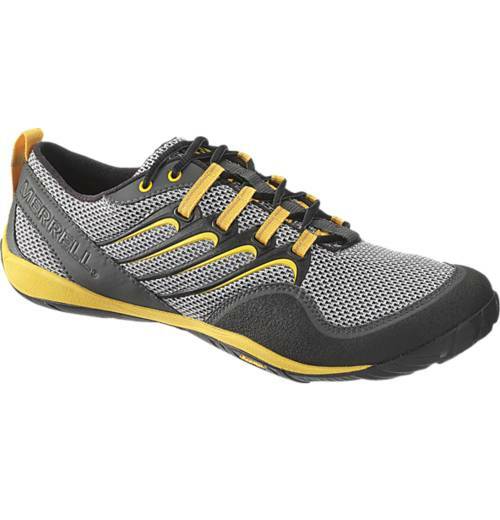 I was quite excited to find out that my local outdoor equipment store was planning to carry the Merrell Barefoot line and even more excited to hear that they would have them mid-February. As soon as I started reading the initial impressions from the lucky few who got a pair of these shoes early to test, I knew that I had to add these to my list of shoes I must own. So now the big question is: After trying them on and walking around the store do I still have to own them? Some initial reviews are in the works and should be up soon! Stick with us as we figure these things out.